PEPCO successfully managed to repair 12" Gas Pipeline between Gheshm and Pohl by installation of Smart Flange & Spool Piece . 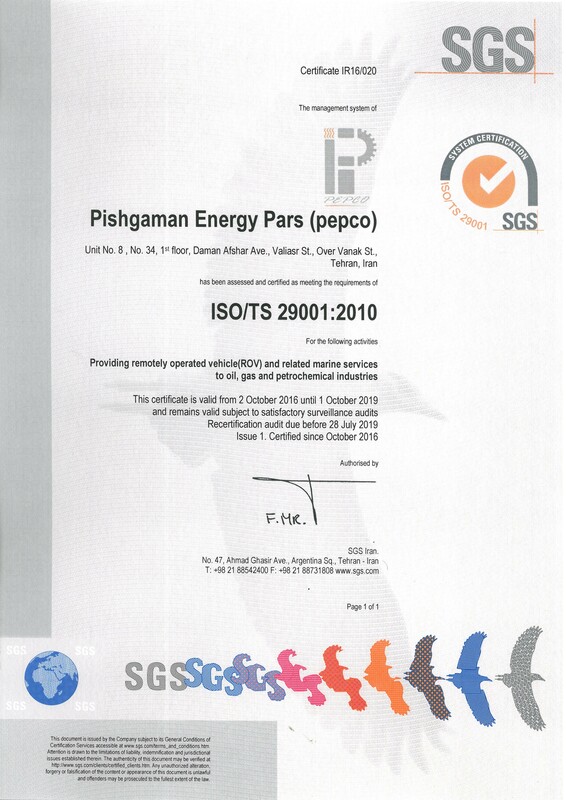 Pishgaman Energy Pars Company registered in 2005 as a private limited company by an experienced team, providing services in the field of energy most particularly Oil and Gas offshore and onshore industry for which the company was formed. In 2007 Company was converted to Private Joint Stock with more variety of fields of activity including offshore and onshore Engineering, inspection, construction, repair and maintenance. 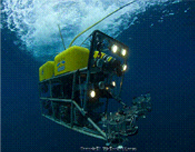 Related support activity includes pipeline services, pipeline stabilization and general subsea work using Divers and ROV intervention technologies. 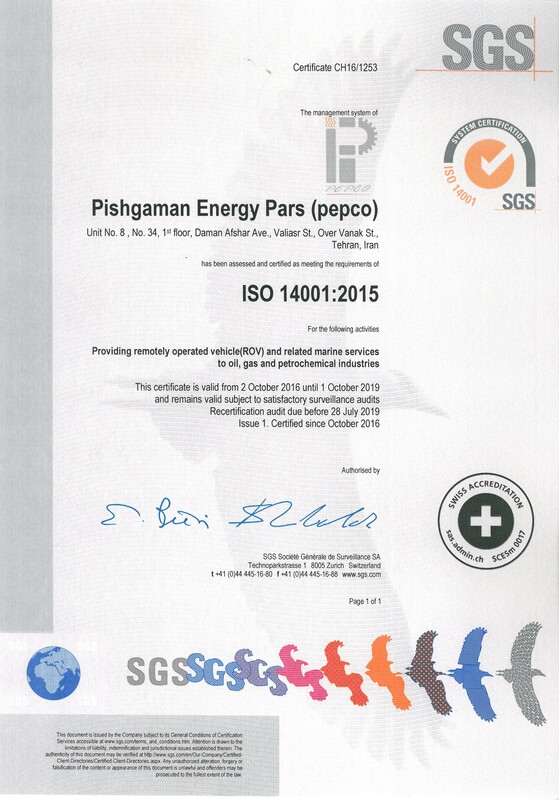 PEPCO undertook and successfully executed several important assignment for the major Oil and Gas Offshore clients. 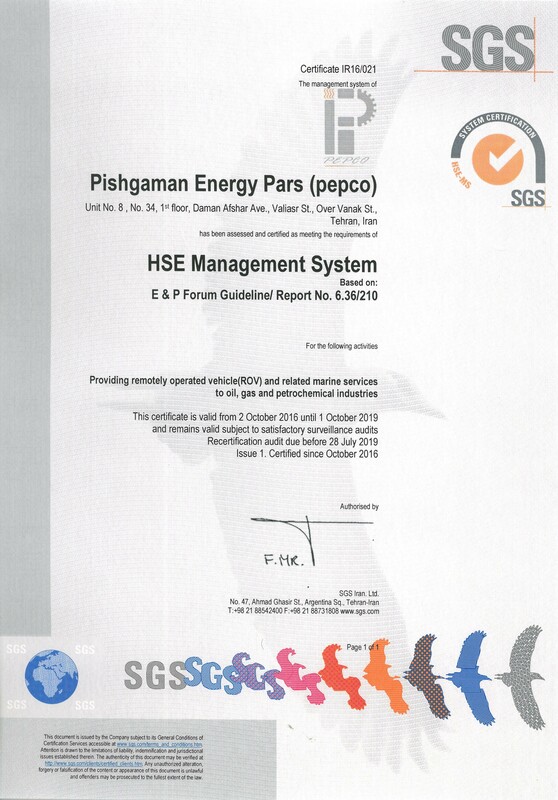 PEPCO's qualification has been approved by president deputy strategic planning and control organization for Grade 1 in Oil and Gas industry. PEPCO is a member of Iranian Association of Naval Architecture & Marine Engineering. 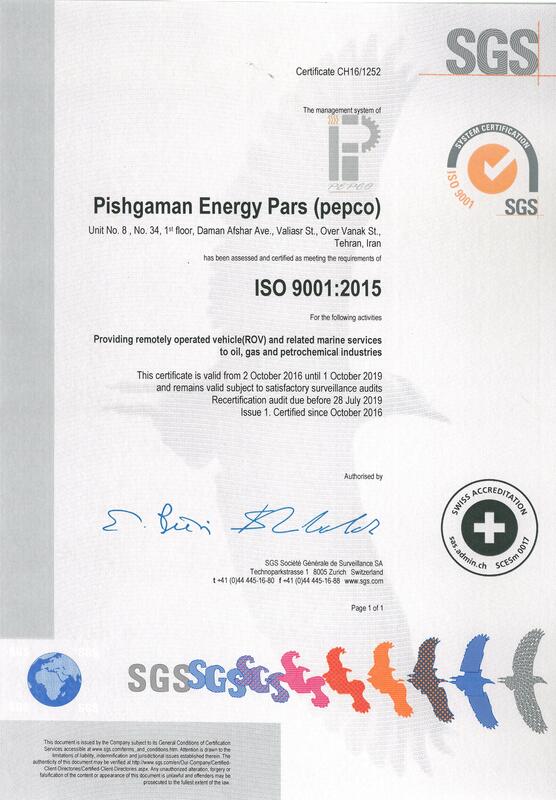 PEPCO is Certified by ISO 9001,14001,TS 29001, HSE and OHSAS 18001 to achieve and maintain the required quality of services. 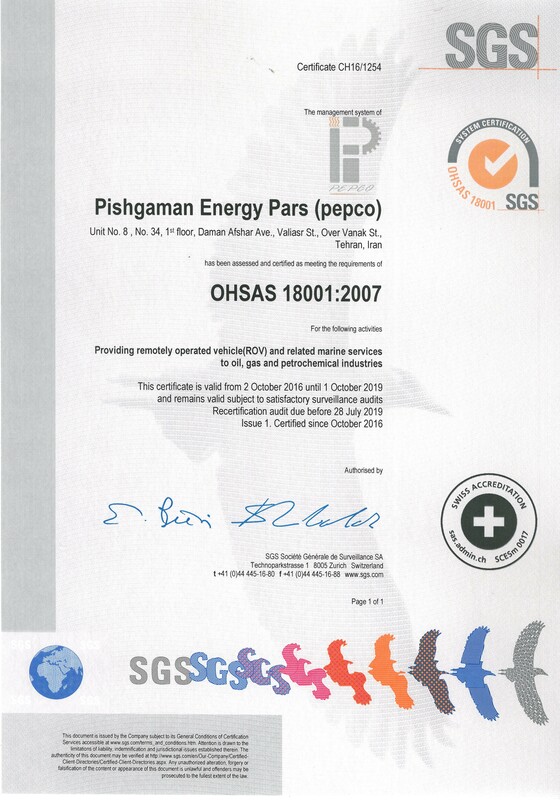 PEPCO is certified by Ministry of cooperatives, Labour and Social Welfare for contractor's Health and Safety qualification at work. PEPCO successfully managed to repair 12" Gas Pipeline between Gheshm and Pohl by installation of Smart Flange & Spool Piece.